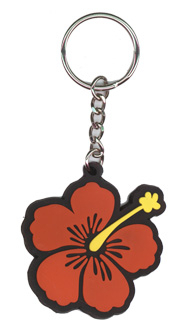 Iconic Hawaiian hibiscus, in red / black. Very eye catching! 1.75"x2.25" die-cut rubber keyring. Art by NSI.